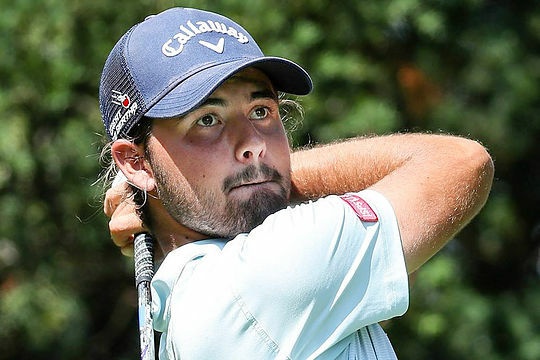 Rookie professional Curtis Luck could feel right at “home” this week in the play-for-play ranks at the Valero Texas Open at TPC San Antonio. The $US 6.2m event is the first of nine invitations afforded to the 20-year-old during the remainder of the 2017 season. The Lone Star State event is again being staged on the Greg Norman designed AT&T Oaks Course featuring narrow and tree-lined fairways with plenty of rocky outcrops. After being over-looked for an invitation last week at Hilton Head it has no doubt helped Luck’s appearance that Norman’s Great White Shark Enterprises administer the Texas tournament. And the Cottesloe-born Luck is also far from a stranger to the pro ranks having spent much of the past six months competing alongside his now professional colleagues. Luck won the 2016 Western Australian Open while still an amateur before finishing 11th at the Australian Open last November and was 23rd at the European Tour’s Dubai Desert Classic in February. In fact, Luck wound up his amateur career competing in the Arnold Palmer Invitational and last fortnight’s Masters where he made the cut and narrowly missed “Low Amateur” honours at Augusta National. “I am looking forward to teeing up and hopefully earning a first pay cheque as that would be pretty nice”, he said. Luck has been seeking advice ahead of his new career including chatting with Australian Adam Scott during an Augusta practice round. “Some of the best advice I received was to play in blocks and not to tire myself out by playing week after week,” he said. Luck is joined by fellow Australians Steven Bowditch, who won this event in 2014, as well as youngster Cameron Smith, veterans John Senden, Cameron Percy, Greg Chalmers, Aaron Baddeley, Geoff Ogilvy and Matt Jones alongside Brett Drewitt. Also in the field at TPC San Antonio is defending Texas Open champion Charley Hoffman, who led the first two rounds at the Masters, as well as two-time major winners Angel Cabrera and Zach Johnson.